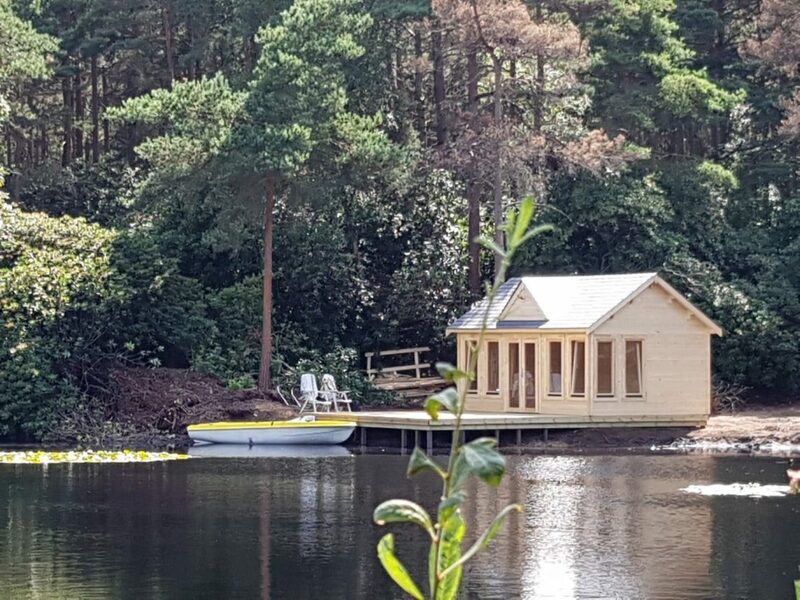 Creative Living Cabins built and installed this amazing cabin on the shore of a customers lake. The setting is quite stunning, and it is certainly one of the most attractive locations we have ever installed one of our cabins. Our log cabins are of the highest quality, made from sustainable premium timber, and built to give years of enjoyment and practical use. Unlike many other log cabin companies, we offer a completely bespoke, made to measure cabin design service, so you can tailor the design and internal room layout exactly to your own requirement! We have 3 display villages, in Surrey locations, where you can come down and see our wide range of cabins, many of which are fully furnished to give them a real ‘lived in’ and realistic ambience. Our friendly sales staff will be pleased to give you a tour, and to discuss any questions you may have.